Sheep and lamb markets made a bit of a comeback this week. Lower prices had the usual impact, seeing more growers keep their sheep at home, forcing processors to pay a bit more for lambs and sheep. The spectre of rain, and of course lower prices put a fair drag on supply this week. Producers baulked at lower prices, with lamb yardings falling 27% to their lowest full week level since mid-September (figure 1). Sheep yardings took a similar fall, but have been weaker at times this year. It’s nice when economics work the way they are supposed to. The lower supply saw prices move higher, the Eastern States Trade Lamb Indicator (ESTLI) gained 19¢ to close Thursday at 619¢/kg cwt (figure 2). Lamb prices are in fact, very similar to last year. However, last year they had jumped 100¢ from December and any lamb that was ready was coming to market, there just wasn’t many finished lambs. This year prices have tanked from December, and growers don’t like lambs at 600¢. It interesting how price expectations can change in a year. Restocker lamb prices have fallen in line with the ESTLI (figure 3). Lower prices now don’t necessarily mean prices will be steady through autumn, but the market always reacts the same way. If we have indeed seen the price low, it might be a good time to buy store lambs. 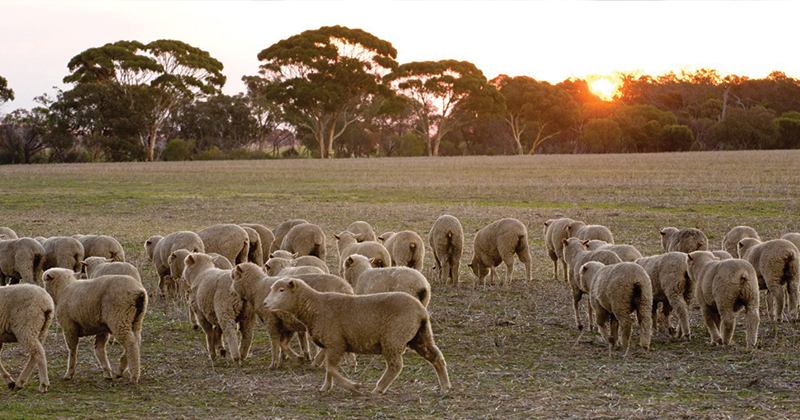 Over in the West sheep are the most expensive in Australia, the indicator at 400¢/kg cwt, while Merino lambs had an extraordinary jump, gaining 126¢ to 635¢/kg cwt. Again it is forecast to rain in Queensland, but some key parts of Northern NSW might get some too this time. After a dry summer this might be the trigger for a supply pull back, with the ripple effect flowing south. We don’t expect a strong jump in lamb prices this week, but it’s also hard to see supply ramping up far enough to see values fall back below 600¢.